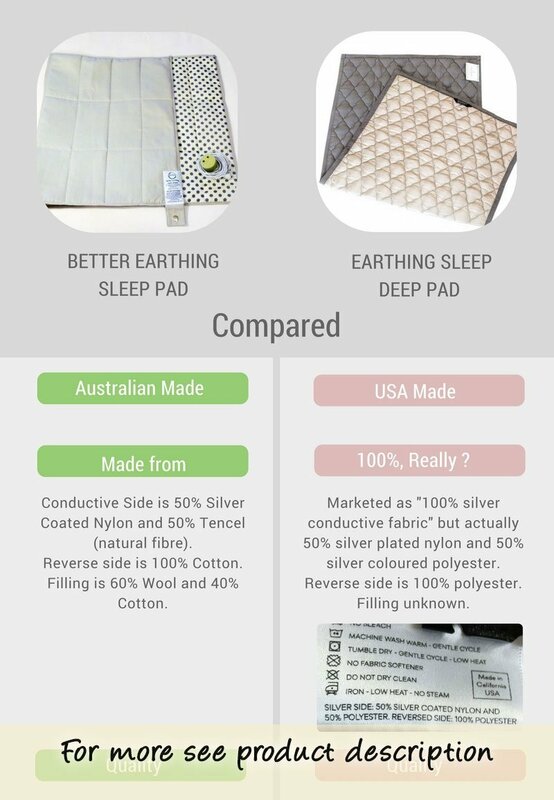 The Better Earthing Sleep Pad is a mini earthing underlay. It suits one person and can be easily rolled up into a small bag for travelling. Health benefits may include better sleep, less pain, and more energy upon waking. Currently we can only ship these within Australia due to a shortage of pads made. 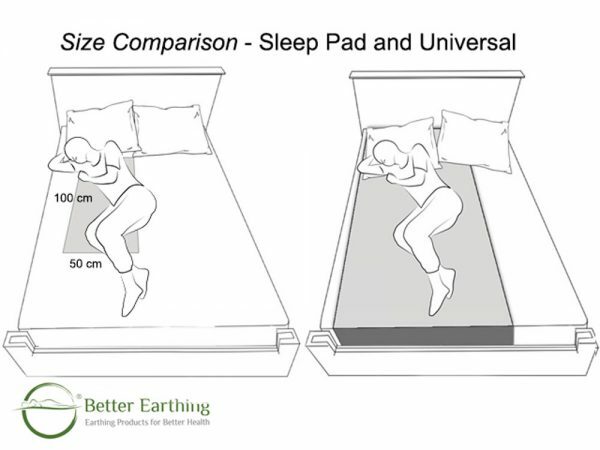 For international orders please check out our smaller ‘earthing pad’ or larger universal sheet as possible alternatives. Sorry for any inconvenience. 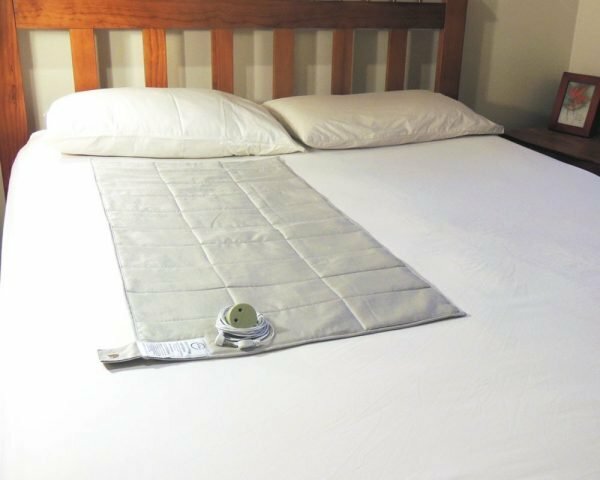 See product description below for fabric details and a comparison with USA-made deep sleep pad. Please note that any small pad like this may move around even under a sheet, compared to our larger Universal undersheet which will not. Our universal has 4 times the surface area (1m x 2m). 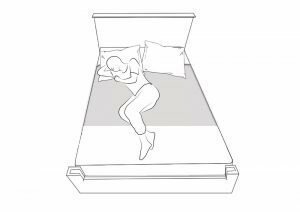 This allows more of your body to be in conductive contact with your earthing product throughout the night, as you cannot roll off it. Having more body surface contact can also give a deeper experience. 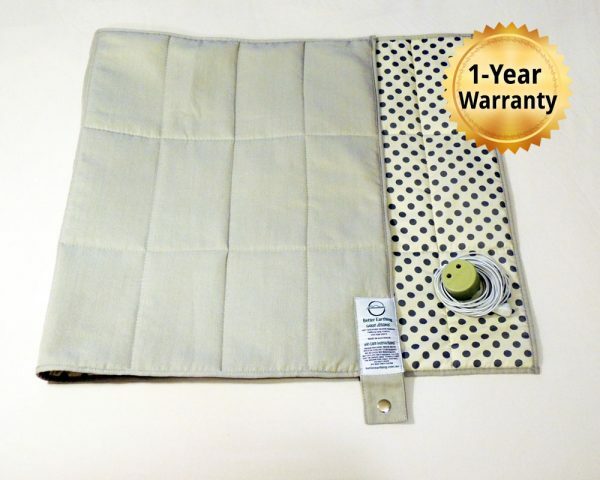 Warranty: Comes with a 1-year warranty on its effective earthing life plus 1-year money-back satisfaction guarantee. Comes with a straight lead, AU/NZ earthing adapter, and guide (if you would prefer a coiled lead let us know by leaving a note in the checkout). 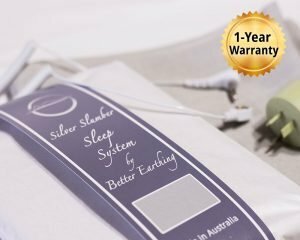 We are the first earthing product manufacturer in the world to make a high silver % earthing undersheet (an underlay sheet), and now we are happy to introduce this smaller earthing pad for sleeping. 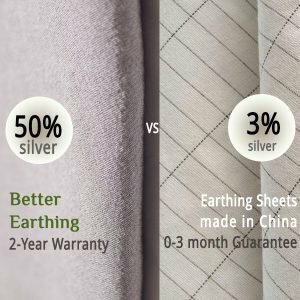 Like our undersheet, this earthing sleep pad is designed to be used underneath your existing fitted sheet. It is made in Australia from superior quality conductive silver fibre and natural fibres (Tencel, Cotton and Wool). Silver is natural antimicrobial and actively kills bacteria and odours (see tab for more details). 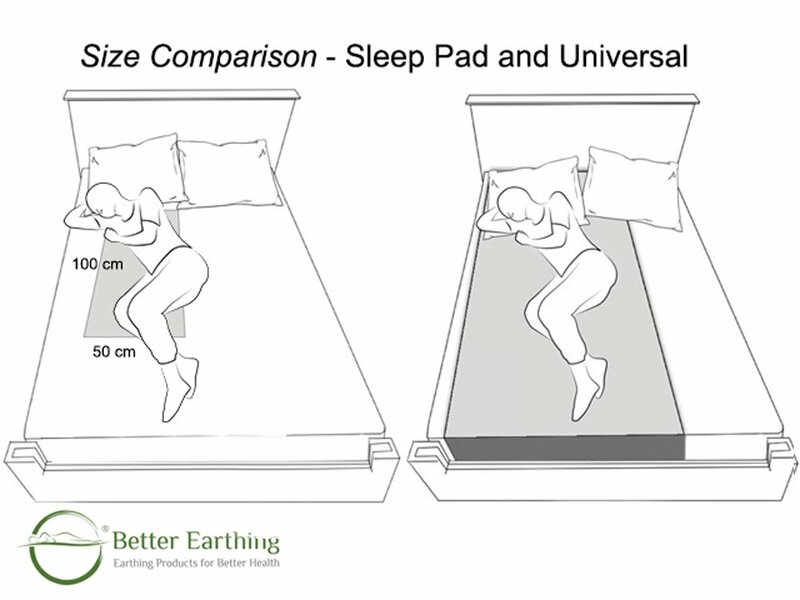 Compared to our high silver fitted and universal undersheets, this compact (50 x 100 cm) pad has a smaller conductive earthing area. It is best used by one person and positioned under the torso and hips. As a general guide, the more of our body that is earthing, the deeper the experience. Consider our universal undersheet for a fuller experience overnight. 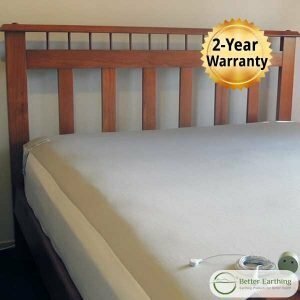 Our universal and fitted undersheets come with a 2-year warranty. 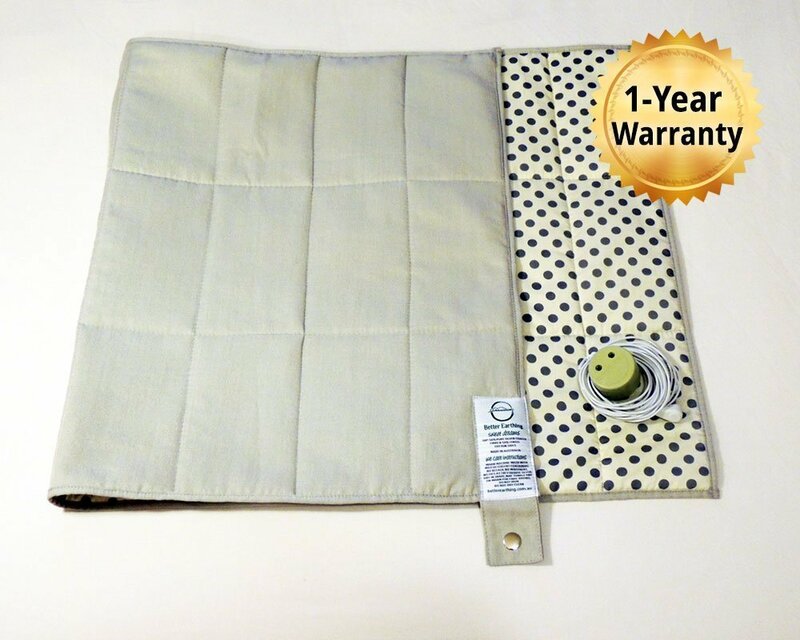 The sleep pad comes with 1-year warranty as travelling with your undersheet can result in more wear and tear. Filling: 60% Wool and 40% Cotton. Wash on gentle cycle with detergent that contains no oil, no bleach and no oxidisers. Dry in shade. 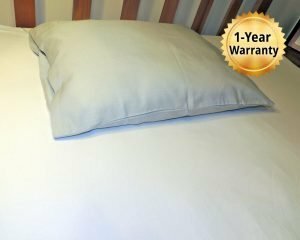 Use underneath your existing fitted sheet. I am sleeping wonderfully and feel great ! and my Husband ( after 3 nights broken sleep ) is now sleeping well – until the dog awakes him to go outside to relieve himself…. My Mother slept last night on it and she only got up once. Normally it is two or three times, per night that she gets up. She is feeling a little bit nauseated this morning but I said it was all OK – toxins were making a move. I bought my son a sleep pad for his 32nd birthday, he said (sarcastically) oh, just what I always wanted, thanks Mum. Well, a week later he had given up smoking (tried many times before but was too stressed), is now only having the odd beer at weekends, taking rolled oats to work in a mason jar, eating salads for lunch and for the first time in his life actually goes into a supermarket to buy fruit for a snack. Earthing or just a coincidence? He is now encouraging his workers to get earthing because he feels so much better!